The sage Durvaasaa once gave a celestial garland to Indra, which he had got from heavenly nymphs. When he saw the garland being crushed by Indra's elephant, Seeing this , the sage cursed Indra. Since Durvasa wasnot born of Thee, (but of Rudra), tolerance was not one of his qualities.Where can forebearance be seen except in those born of and blessed by Thee. 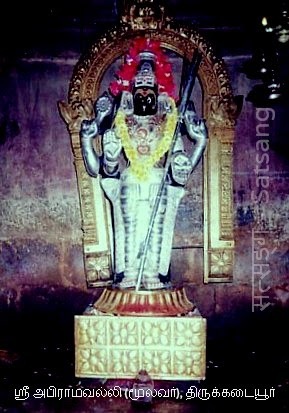 குழைக்கும் களபக் குவிமுலை யாமளைக் கோமளமே. தாயே! அபிராமியே! நான் செய்த தீய வழிகளுக்காக என்னை நெருங்குகின்ற எமன் என்னைத் துன்புறுத்தி, வதைக்கும் பொழுது, தாயே உன்னை அழைக்க, அஞ்சேல் என ஓடிவந்து காப்பவளே! சிவ பெருமானின் சித்தத்தையெல்லாம் குழையச் செய்கின்ற சந்தனம் பூசிய குவிந்த முலைகளையுடைய இளமையான கோமளவல்லித் தாயே! மரண வேதனையில் நான் துன்புறும் போது உன்னை, 'அன்னையே' என்பேன். ஓடிவந்து என்னைக் காத்தருள்வாய்! kuzhaikkum kalabak kuvimulai yaamalaik komalame! uzhaikkum pozhudhu, unnaiye annaiye enban odivandhe. 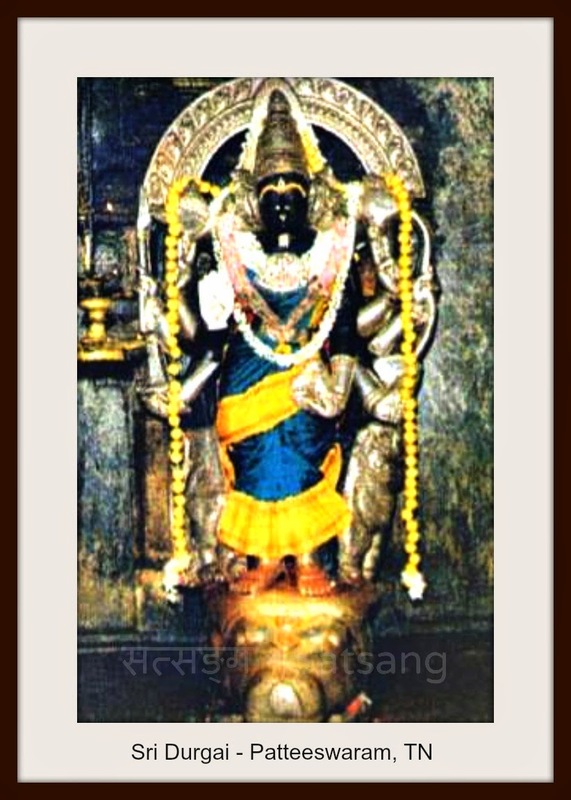 Goddess Komalavalli! Your motherly divine bosoms, with sandal paste smeared, denoting knowledge about this world and knowledge about the spiritual realm will melt the mind and body of our Lord Shiva! When the god of death, Kaala calls me for my sins, you shall come and say, " Don't be afraid!" Whenever I am melancholic, you shall rush and save me. 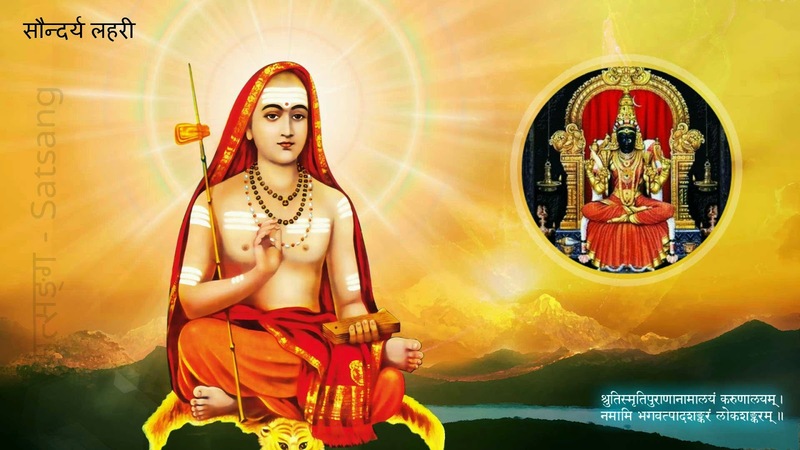 Gajendramoksham, is an important incident found in the Bhagavad Purana and it shows the importance of Bhakti, prayer and true devotion.Indradyumna, Thy great devotee and the king of Paandya land was once engrossed in worshipping Thee on the Malaya mountain. He was so absorbed that he did not even notice sage Agastya who approached expecting his hospitality. Agastya who was overcome with anger cursed the king that as he was of such haughty nature he would be born as an elephant and departed. Indradyumna got the form of a lordly elephant with the good fortune of retaining a clear memory of Thee. 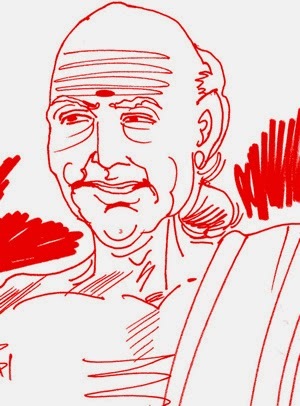 Raju Sastrigal was the ninth in the line of the direct descendants of Appayya Dikshitar and was born on May 28, 1815 (Yuva, Vaikhasi 17, Sunday) to Maragathavalli and Margasagayar. His immediate ancestors had lived in a village called Koothambadi near Tiruvarur having acquired it by a grant at about the beginning of the 18th century; but the original home of the family was Adayapalam near Arani in the North Arcot District. நேசத்தை என் சொல்லுவேன்?- ஈசர் பாகத்து நேரிழையே. அபிராமித்தாயே! எந்தன் ஈசன் இடப்பாகத்தில் தானொரு பகுதியாக அமைந்தவளே! அம்மா! நான் கொடிய ஆசையென்னும் துயரக் கடலில் மூழ்கி இரக்கமற்ற எமனின் பாச வலையில் சிக்கியிருந்தேன். அத் தருணத்தில் பாவியாகிய என்னை மணம் பொருந்திய உன்னுடைய பாதத் தாமரையே வலிய வந்து என்னை ஆட்கொண்டது! தாயே! நின் அரும்பெரும் கருணையை என்னென்று உரைப்பேன்! nesaththai en solluven?- eesar paagaththu nerizhaiye! Abhirami! You wear fine ornaments. I have fallen into the sea of desire and was about to be caught in the noose manipulated by the merciless Anthaga ( god of death) How I could describe your grace, with which you place your Lotus-feet voluntarily on me and you have accepted me as one of your devotees. Cures diseases, grants freedom from fear and poverty; enables possessions of vast estates. This section is the chapter that immediately precedes the Srimat Bhagavadgita in the Mahabharatham. 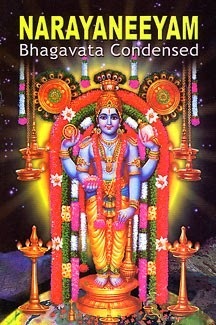 Durgastavam is found in many recensions of the Mahabharatham, There are many versions of this stotram viz. by Dharmaraja (Virata Parvam of Maha Bharatha) before the one year of Hiding and the other by Arjuna (Bhishma Parva 23: 4-16 of Mahabharatha) just before start of the war. The version is found in the southern recension of the Mahabharatham. The version given here was by Arjuna on the order of Bhagavan Srikrishna, in order to secure victory in the great battle. The stotram is credited with the power of bestowing destruction of enemies and a long healthy life in the phalashruti. It is traditionally held that the stotram also bestows self-control, which is essential for Atma-Gyana. It is very effective when recited regularly during Rahu-Kalam for those passing through the Rahu Dasa. As Hiranyakashipu struck at the pillar, he heard a terrific sound which split his ears.Thy roar was so fierce that it made everything inside the vessel of Brahmaanda tremble. Hearing this sound which was never heard before, the Asura king king's heart was shaken by an unknown feeling of dread. Even the lotus born Brahmaa was shaken from his throne. அமையும் அமையுறு தோளியர்மேல் வைத்த ஆசையுமே. அபிராமித் தேவியே! நீயும், உன்னைப் பாகமாகவுடைய எம்பிரானும், ஆண்பாதி, பெண்பாதி என்ற நிலையில் காட்சியளித்ததோடு அல்லாமல், என்னை உங்களுக்குத் தொண்டு செய்யும்படியாகவும் அருள்புரிந்தீர்கள். 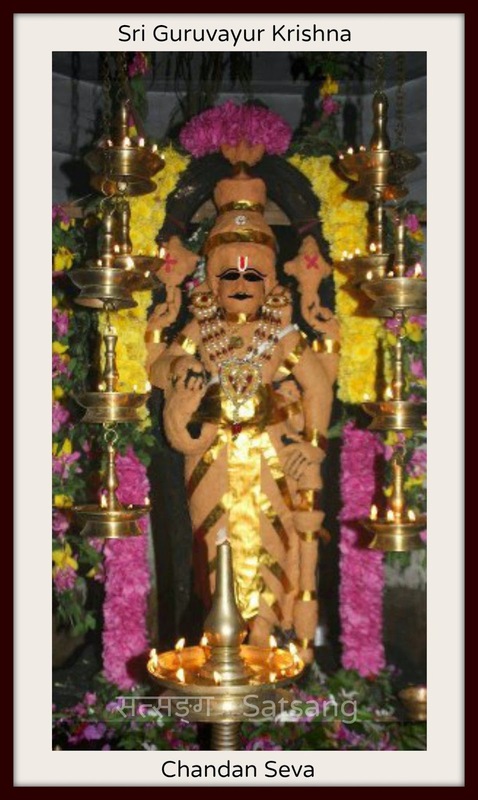 ஆகவே எனக்கன்றி இனிச் சிந்திப்பதற்கு ஒரு மதமும் இல்லை. என்னை ஈன்றெடுக்க ஒரு தாயும் இல்லை. வேய் (மூங்கில்) போன்ற தோளையுடைய பெண்ணின் மேல் வைத்த ஆசையும் இல்லாமல் ஒழிந்தது. amaiyum amaiyuru tholiyarmel vaiththa aasaiyume. Goddess Uma and Uma's better half of our Lord Shiva combined together in the form of Ardhanareeshwara has ordained me to be her devotee. I can't even imagine any other faith (religion), Here afterwards no mother will beget me. (No birth death cycles) I will have no more passion to bestow on women who have broad shoulders like bamboo planks. தூக்கிய திருவடியைத் தரிசித்த புலவருக்கு அதன் சிவந்த நிறத்திற்கான காரணம் என்ன என்ற ஆராய்ச்சி பிறக்கிறது. ஐயன் ஒரே அடியை ஊன்றி ஆடுவதால் அது சிவந்து இருப்பது சரியே. ஆனால் தூக்கிய திருவடியும் ஏன் சிவந்து காணப்படுகிறது? ஒருவேளை அம்மை சிவகாமவல்லி, ஐயனின் பாதங்களைப் பிடித்து விடுவதால் அம்மையின் செந்தளிர்க் கரங்களின் செம்மை நிறத்தால், இரு பாதங்களுமே சிவந்து காணப் படுகின்றனவோ? இது தான் காரணமாயிருக்க வேண்டும் என்று முடிவு செய்கிறார். நடராஜப் பெருமான் இப்படி ஓய்வு ஒழிச்சல் இல்லாமல் ஆடிக் கொண்டிருக்கிறாரே! இவருக்கு ஆடுவதில் சலிப்பே ஏற்படாதா? அந்தத் திருவடிகள் தாம் சலித்துப் போகாதா? என்று கவலையும் ஆச்சரியமும் ஏற்படுகிறது புலவருக்கு. ஆனால் அவர் யாருக்காக ஆடுகிறார்? பதஞ்சலி முனிவருக்காக அல்லவா ஆடுகிறார்! அவரோ பதம் சலியாத முனிவர்! அவர் பெருமானையும் பதம் சலியாதவராக ஆக்கி விட்டாரோ? ஐயன் தம்மிடம் வருபவரைத்தாமாக்கும் தன்மை கொண்டவர் என்பது பிரசித்தம். ஆனால் இங்கோ பதஞ்சலி முனிவர் ஐயனையே தம்மைப் போல் பதம்+சலியாதவர் என்றே ஆக்கி விட்டார் என்று தோன்றுகிறது! Guruvayur is considered to be “Bhooloka Vaikunta” - the heaven on earth, as the idol was once worshiped by the Lord Mahavishnu himself in Vaikunta. The deity is in the traditionally orthodox form of Mahavishnu, with all the compliments - four arms each carrying Shankh (Conch), Chakra (Wheel), Gadha (Club) and Padmam (Lotus). His lower right hand represents the revolving or creative tendency. This hand holds conch, symbol of the five elements (Panchajanyam). When blown, it produces a sound that is associated with the primeval sound from which creation developed. His upper right hand represents the cohesive tendency. This holds the Discus (Sudarshana Chakra) or the Wheel. This has six spokes and symbolizes six-petalled lotus. It represents the limitless controlling of all the six seasons and is the fearful weapon that severes the head of demons. The upper left hand represents the tendency towards dispersion and liberation. This holds the Lotus, symbol of the causal power of illusion from which the universe rises. This Lotus is called Padma. It is the symbol of purity and represents the unfolding of creation.It is the truth from which emerged the rules of conduct and knowledge. The lower left hand holds Gada (Mace), the symbol of primeval knowledge. It represents the notion of individual existence. 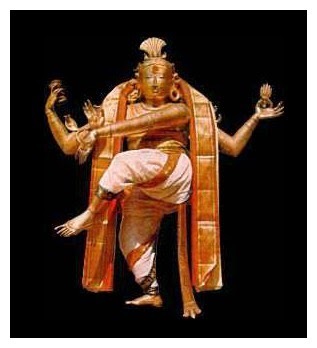 This is named Kaumodaki and is the elemental force from which all physical and mental powers are derived. "Seeing Hiranyakasipu engaged in this austerity, the demigods returned to their respective homes, but while Hiranyakasipu was thus engaged, a kind of fire began blazing from his head, disturbing the entire universe and its inhabitants, including the birds, beasts and demigods. When all the higher and lower planets became too hot to live on, the demigods, being disturbed, left their abodes in the higher planets and went to see Lord Brahma, praying to him that he curtail this unnecessary heat. The demigods disclosed to Lord Brahma Hiranyakasipu's ambition to become immortal, overcoming his short duration of life, and to be the master of all the planetary systems, even Dhruvaloka. ஒன்றே, பல உருவே, அருவே, என் உமையவளே. அபிராமி அன்னையே! என் உமையவளே! நான் பாவங்களைச் செய்வதற்கு முன்பே என்னை தடுத்தாட் கொண்டவளே! நான் பாவங்களையே செய்தாலும், நடுக்கடலில் சென்று வீழ்ந்தாலும், அதனின்று காப்பது நின் கடைமையாகும். என்னை ஈடேற்ற முடியாது என்று சொன்னால் நன்றாகாது. இனி உன் திருவுளம்தான் என்னைக் கரை ஏற்ற வேண்டும் (பந்தபாசக் கடலில் இருந்து முக்திக் கரை ஏற்றுதல்). ஒன்றாகவும், பலவாகவும், விளங்குகின்ற என் உமையவளே! onre, pala uruve, aruve, en umaiyavale! Oh! Goddess Uma! Parvathy! You are of the same form everywhere! and also many shaped. Sometimes you are formless. You prevent and protect me even before I could commit sins by inducing me to transform my self as your devotee. Even if I tend to commt sins and even if I plunge into the mid sea, it is obligatory on your part to save me. It won't be fair on your part, if you don't accept me. Nothing, but only your benevolence springs from your heart, can only salvage me. Attainment of versatile knowledge, particularly of Vedas. Oh Lord ! Apart from the famous Daksha,,son of Prachetas,there was yet anotherDaksha, who propitiated Thee to fulfil his desire of multiplying creation,. Thou appearedbefore him in Thy divine form, radiant with Thy eight arms and granted him his wishalong with Asikni as his bride. புத்தியும், புத்தியின் உள்ளே புரக்கும் புரத்தையன்றே. அபிராமித் தேவி! நீயே சகலத்திற்கும் சித்தியாவாய். அச்சித்தியைத் தரும் தெய்வமான ஆதி சக்தியாகவும் திகழ்கின்றாய். பராசக்தியாகிய நீ கிளைத்தெழக் காரணமான பரமசிவமும், அச்சிவத்தைக் குறித்துத் தவம் செய்யும் முனிவர்களுக்கு முக்தியும், அம் முக்தியால் ஏற்படுகின்ற விதையும், அவ்விதையில் ஏற்பட்ட ஞானமும், ஞானத்தின் உட்பொருளும், என் நின்று, சகல பந்தங்களினின்று, காக்கக்கூடிய தெய்வம் திரிபுர சுந்தரியாகிய உன்னைத் தவிர வேறு யார் உளர்? puththiyum, puththiyinulle purakkum puraththai anre. Parasakthi! You are all the eight kinds of victories personified. You are the divine, Parasakthi, who showers victories unto your devotees, you are the Lord Shiva who is the better half of you Shakthi! (redundant) You are the salvation and divine -bliss born out of penance on Shiva! You are the seed of salvation, and spiritual enlightenment sprouted out of that seed.